It seems I am sick. This road seems to be long. You seem to be rich. We seem to be full. They seem to be getting divorced. 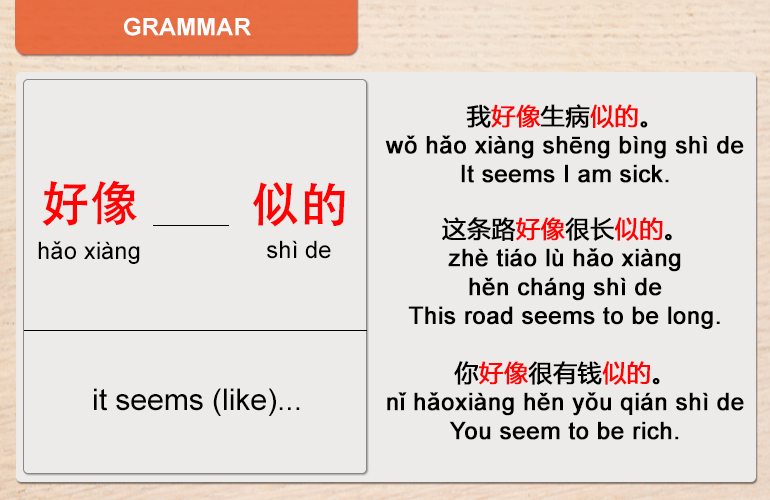 If there is no subject in a sentence with 好像, it is translated into English as "it seems that...". It seems like it's going to snow.